Pale di San Martino area in a series of Tabacco maps at 1:25,000 covering the Dolomites and the mountains of north-eastern Italy - Stanfords’ most popular coverage for this region, with excellent cartography and extensive overprint for hiking routes and other recreational activities, local bus stops, etc. Additional overprint in this title shows cycle and ski routes. To see the list of titles in this series please click on the series link. Maps in the Tabacco 25K series have contours at 25m intervals, shading and graphic relief to provide a vivid picture of the topography. 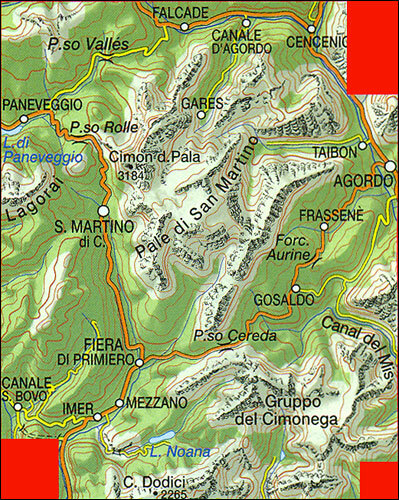 An overprint highlights local footpaths as well as long-distance trails including all the Alte Vie (the Dolomites high level routes), indicating the degree of difficulty, the state of waymarking, and the "via ferrata" sections. Most titles now also highlight cycling routes and mountain bike trails; some also include ski routes. Six different types of accommodation are marked, from isolated hotels and inns to campsites and refuges, local bus stops, cable car lines and chair lifts, plus places of interest and sport facilities. 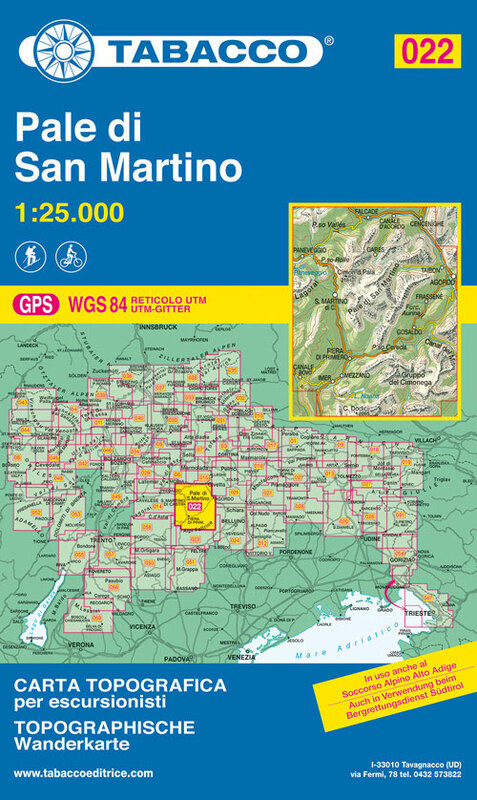 Unless indicated to the contrary in the individual description, the maps have a 1km UTM grid and the map legend includes English.